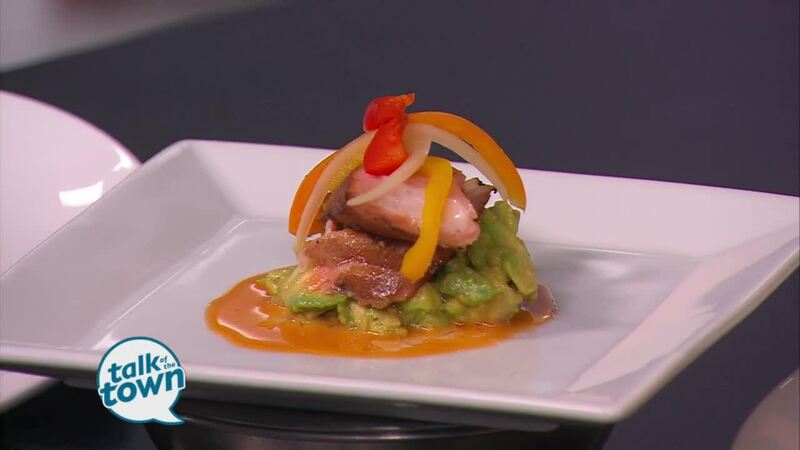 Chris Rains from The Chef & I made Smoked Salmon with Avocado & Fresno Pepper Honey Dressing. The Chef & I is located at 611 9th Avenue South Nashville, TN 37203. For more information visit www.thechefandinashville.com. Whisk all ingredients above together well, either by hand or in a food processor. Combine avocado and dressing by folding them together.